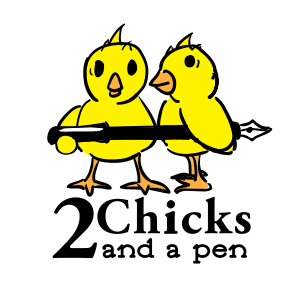 Visit our website at 2chicksandapen.com to learn about our published books, public appearances, and other events. KT is a Mom, a CEO, a CrossFit Addict, a Mentor, an Author, a Coach, a Storyteller, and so much more. On this online blog, you’ll see Karen share her views, opinions, adventures, and her personality. This is just one of the 31 flavors she has to offer. Thanks for visiting! Visit often. Drop us a line and let us know what you think about our site. You never know what post might influence a book! Karen operates multiple women-owned small businesses, including Mission Critical Power and 2 Chicks and a Pen. KT takes great pride in her technology service business, as women-owned firms are rare in this industry. KT also provides consulting services under her Tinker Vision brand. Librarybeth is a sometimes sweet, more often sassy, poetry-loving librarian. She’s worked with students from pre-k to college. She loves writing, farmer’s markets, eating where the locals eat, back porches, and the Georgia Bulldogs. You’ll find her wearing Birkenstocks every day, whether it’s winter time or wedding season. Beth serves on leadership in the Gwinnett County Public Schools community. She speaks at conferences locally, regionally, nationally, and internationally, sharing her insights on libraries, literacy, and diversity. Librarybeth also provides consulting and editing services for the small business community.